Yesterday Resisting Hate and many other anti hate organisations and pressure groups exposed the den of hatred festering on far right site Gab.ai and challenged the payment providers and server host of the site as to why they are facilitating the abuse promoted on the site. 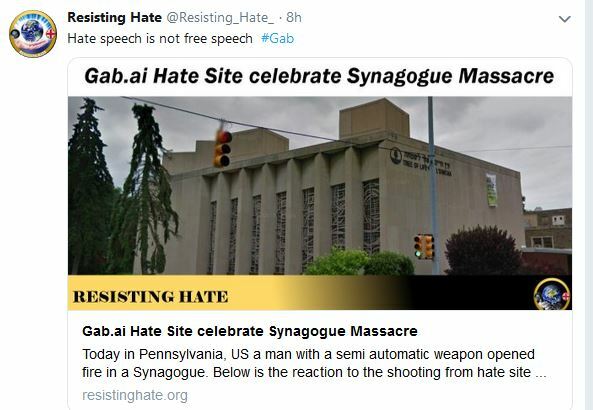 We showed the reaction on Gab to the atrocity of the Pennsylvania synagogue shooting and published a series of screenshots taken across the site in the immediate aftermath of the shooting. Many members of the public across social media took up the fight and petitioned the site’s payment providers and server hosts to shut down the hate site. The main stream media also gave anti hate a voice and published articles showing the general public that the self proclaimed ‘free speech’ site was nothing more than a place for Neo Nazis, Islamophobes and bigots to vocalise their bigotry toward other community groups. Resisting Hate have spoken out about our concerns regarding Gab.ai for some time now. 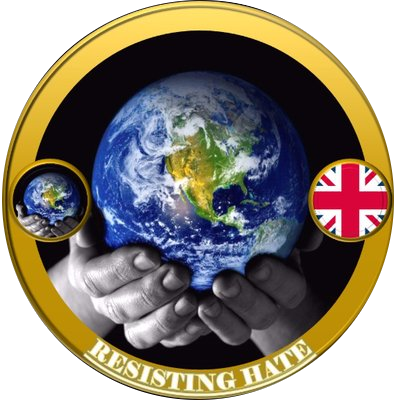 Many of the haters our group have managed to get suspended from Twitter and Facebook have migrated to the channel and we have witnessed their posts becoming increasingly more extremist as individuals are further radicalised by the white supremacist views expressed freely on the site. But yesterday saw a real victory for those who oppose hate speech. 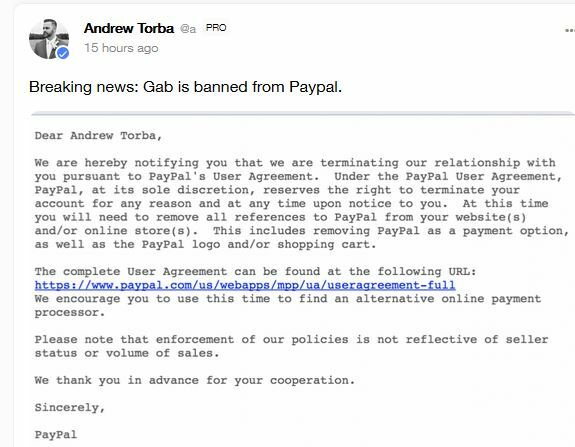 Paypal announced they would be banning Gab.ai from using their platform. 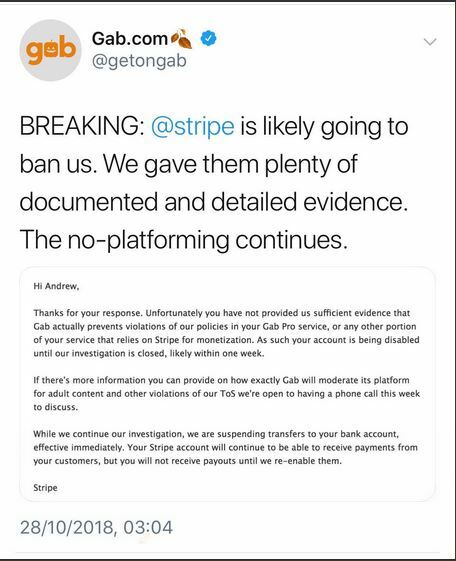 This was followed by a second payment provider Stripe demanding that Gab evidence how they intended to remove the extremism and with the clear threat that if they do not or cannot they would also ban them. It looks like Gab were unwilling to make any compromise relating to how it moderates its platform as, shortly after, Stripe announced they were banning Gab too. 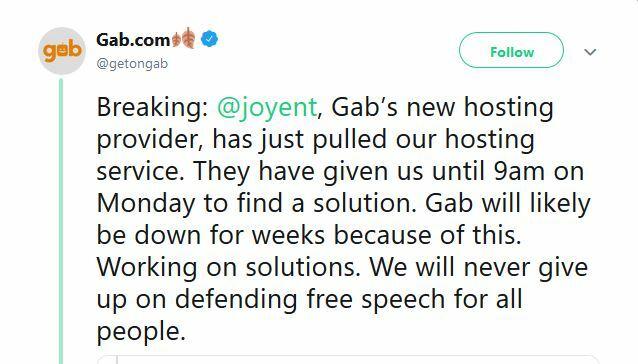 Finally the site’s server Joyent announced that they had given Gab.ai until 9am this Monday morning to find an alternative host as they would not be providing this service going forward. There are now growing calls for Twitter account @GetonGab to be banned from Twitter and all the members of Resisting Hate will most certainly be trawling the account for posts to report in the hope to get it suspended. Gab has proclaimed time and time again that it is a site for free speech. Based in America, Gab considers any infringement of free speech unconstitutional, they believe that limiting speech limits the rights of the people. But what about the rights of Jews, Muslims, PoC and the LGBT community to live without fear that a growing online social group 460k strong is radicalising haters into more and more extreme thoughts and actions? What about their rights? Gab is not about free speech. We have watched this site since the beginning. The maniac who shot up a Synagogue yesterday was not an isolated hater on a free speech platform, he is indicative of the type of person who has flocked to the site to spew their hatred under the guise of free speech. Gab chief executive Andrew Torba would have you believe that people have a right to incite violence against community groups. We at Resisting Hate believe they do not. And unfortunately for Andrew Torba, and his hate group, PayPal, Stripe and Joyent all agree with Resisting Hate… Come 9am tomorrow the site will be closed down. Yet you are the most hate filled of all. Oh and it is 750,000 on Gab. hate speech is free speech, the point has eluded you. It appears however that PayPal, Stripe and Joyent all agree with me. Which is why Gab will be closed down tomorrow. Listen next time I tell you something. Who listens to a crank paid by plod? You claim Gab as a scalp yet it is Pay Pal et al that are behind the site coming down. Temporarily. Not about my ego Goggins. Every anti hate group in the country wanted that site down and all took part in making it happen. But I’m sure if you can find a friendly psychiatrist you can show them on the doll where mean old Roanna hurt you. 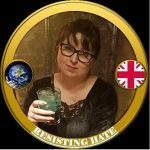 Anti hate sites? You mean sites who demand to tell us whom to read. Hallmark of fascism n’est pas? Only way you could hurt me is to exhale nearby. The purpose of Facebook is not to promote hate. Hate does occur on the platform and when it does we believe it should be removed. The purpose of Gab is solely to promote hate therefore the entire site needed to go. I have been on this site for months and I have never read any “HATE” speech! Today if you voice your disagreement with anybody or disgust with the many craven deviants that spew their filth on these mediums then they label your comments as a hate speech simply because they cannot argue their case. 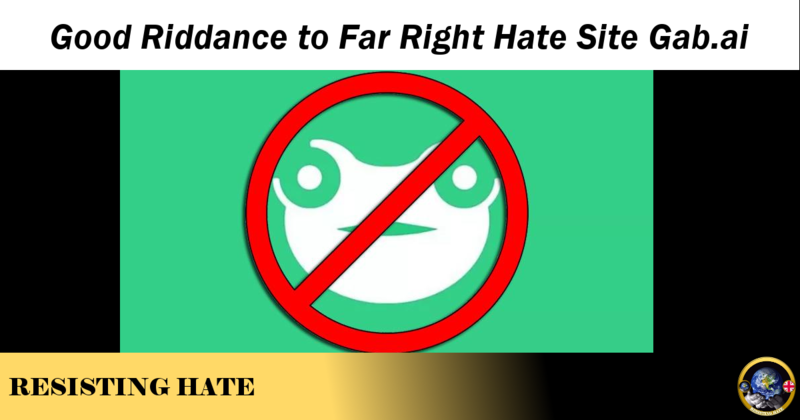 Read the Gab Hate Archive on our site. We have many examples.